The number of new distilleries is bonkers really, isn’t it? This thought occurred to me at the World Whisky Forum, when I suddenly realised I was sitting at a table with reps from England, Sweden, Finland and two places in Germany, and that not one of their distilleries had been up and running when I became legally able to drink. It’s even more bonkers in America, where they’ve been multiplying like Viagra-addled rabbits. In 2009 there were about 200 distilleries making whiskey in America – today there are over 1500. That means they’re opening a new distillery almost every two days.I know people who don’t wash their hair that often. And I have it on good authority that at least 50 of those distilleries weren’t inspired by some fictional thigh-slappin’, six-shootin’, likker-drinkin’, cee-gar-smokin’ good-ol’-boy mountain man wazzock too. A handful even managed to launch their first whiskey without charging a zillion quid. It’s boom-time for new distillers, in short, and will be until people get fed up of paying a zillion quid for inaugural fancy glassware. Many of the newcomers are very good; a handful (Box, Kyrö, Cotswolds, Reservoir, Westland, King’s County etc) are outstanding. But there are a few distilleries who were ahead of the curve: who began making whisky when the modern single malt movement was in its stumbling toddler years, and when there was no guarantee it would grow into today’s swaggering, bombastic, self-assured late-teenager. I’ve a special salute for those distilleries. Particularly for those in countries with no previous whisky pedigree. It wasn’t a safe bet for them; it certainly wasn’t a sure bet, but it worked, and it made world whisky possible. There was Lark in Tasmania, Penderynin Wales, Zuidamin Holland, Warenghemin Brittany (those last two admittedly had previous spirit-distilling form). 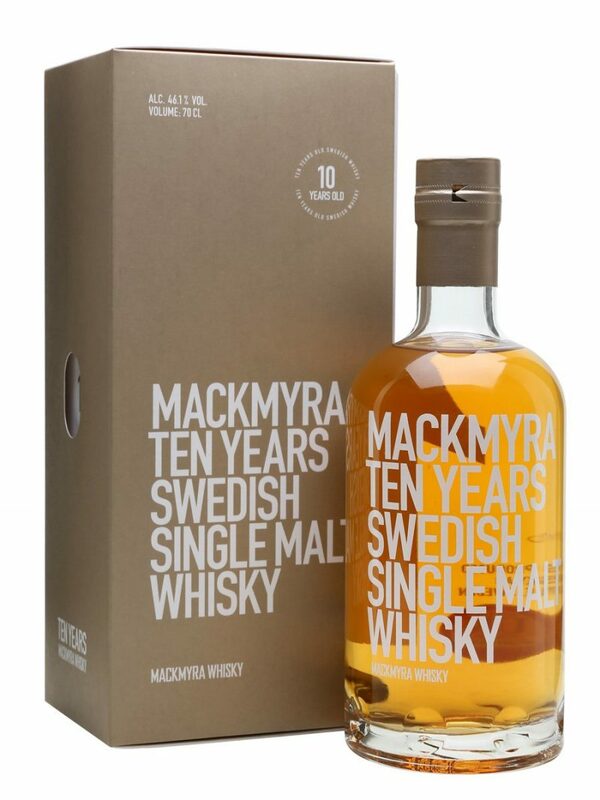 And in Sweden, as of 1999, there was Mackmyra. 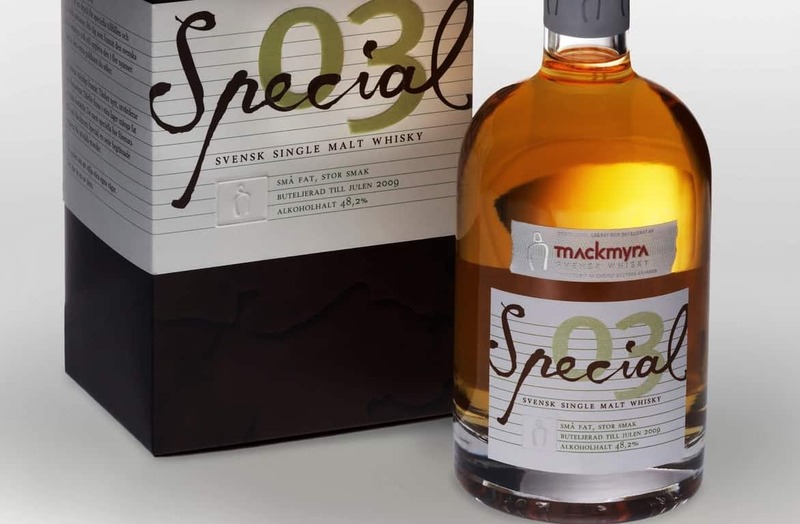 We’ve slightly overlooked Mackmyra in our 2018 Sweden-drive on Malt, and I’m not entirely sure why. If I had to guess I’d wager it’s because Mark’s ambivalent towards them, though I may have just libelled my editor. 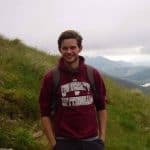 Their range, as you can see from their website, is about as easy to get your head round as the Völsunga Saga, and features rather more Scandinavian words. There also isn’t as much production information available as there is for some of their national rivals. 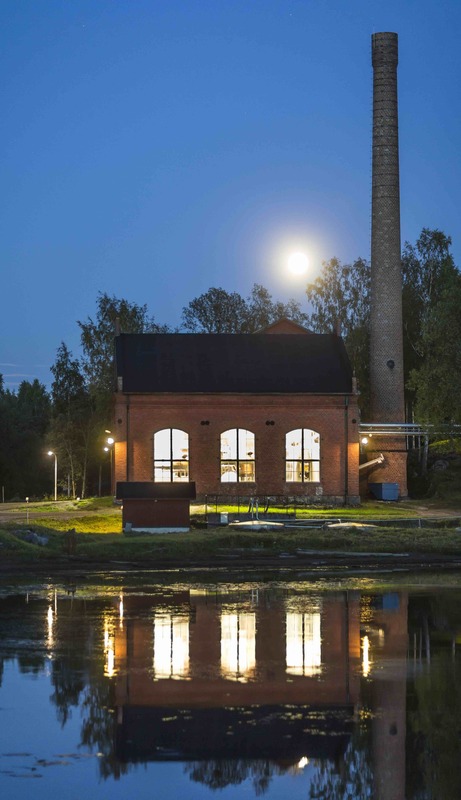 That’s fairly common to distilleries from the old-new era … though that’s not necessarily an excuse. No room for complacency in such a crowded market. Keep up or be overtaken, as they say. On the nose: Fresh, piney, floral – almost herby – nose. White blossom, juniper and rose. Creamy too; vanilla and pastry. Not much sherry, and only a touch of sawn wood to hint at the virgin oak. Not a big nose by any stretch. Takes some coaxing. In the mouth: More vanilla and dairy cream on the palate. Less of the florals; instead we’ve segued to citrus – orange peel and grapefruit. Slightly hard and spiky mouthfeel. Loads of pepper. Spices get a bit woodier on the finish. It’s a bit simple. A bit sharp. It’s a bit of a weedy Swede, is this. You could say “pretty”, “subtle” etc, but it’d be the same squib defence as when a low-character, flairless Chablis is excused as “quite mineral”. There are quiet whiskies that can confound and bewilder with complexity; this isn’t one of them. It’s fine. It’s not bad. But it’s very shy, especially when set against competition from the likes of Box and, particularly, Smögen. Less the roaring, table-thumping Volsung of the hearthside and the mead-hall bench; more a wispy, pastoral thing of staid, indolent, green-grass meadowland. You can get this kind of whisky for £40 less. You can get a more interesting kind of whisky for £40 less. £75 is an awful lot of money for bang-average. Note: Feature image via The Whisky Exchange.